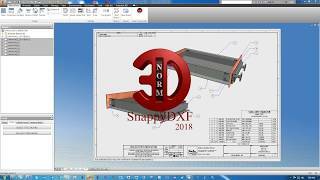 Snappy DXF is a very nifty application for Autodesk® Inventor® users who are spending quite some time on creating DXF files. Snappy DXF can cut the time spent on creating DXF files by at least 80%. If you spend on average about a minute per DXF file, you should REALLY be considering trying Snappy DXF today; it is seriously a huge time saver. Snappy DXF works with all Autodesk Inventor versions from 2015 and above and can export any part file or sheet metal file into a DXF file. This application comes with a fully featured 30 day trial. Version 2.0.0.2 (latest) using a different installer that adds the icon to 'Programs and Features'. Version 2.0.0.1 Link added to website. Version 2.0.0.0 Official release.